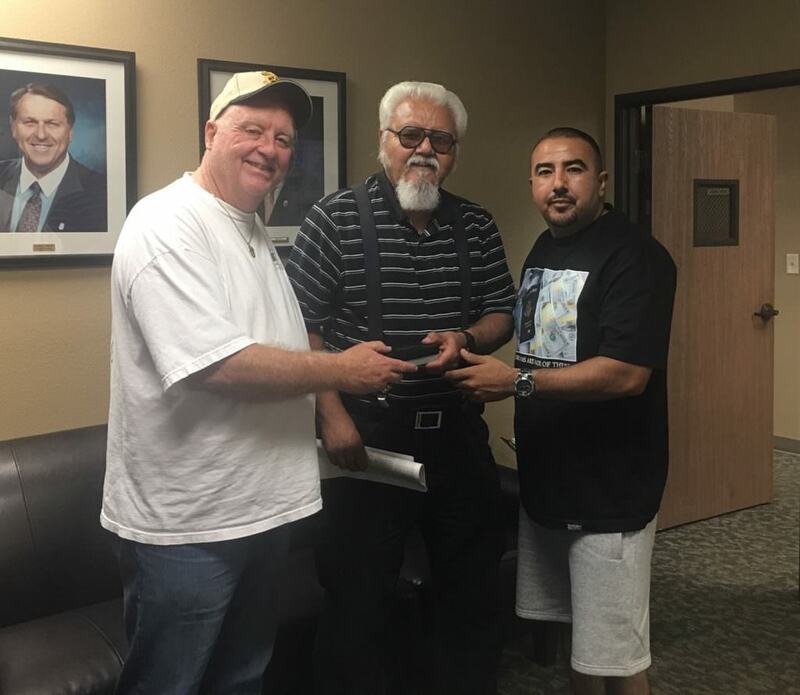 Vons retiree Oscar Velazquez (member) and his son Angel Velazquez with Ralph Black. 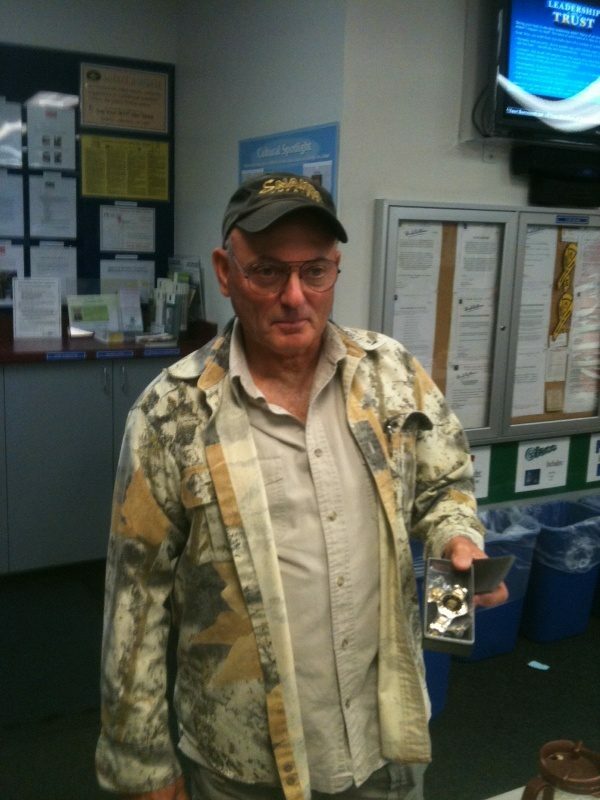 Retiree David Vosburg, Youngs Market-Sales, 37 years. 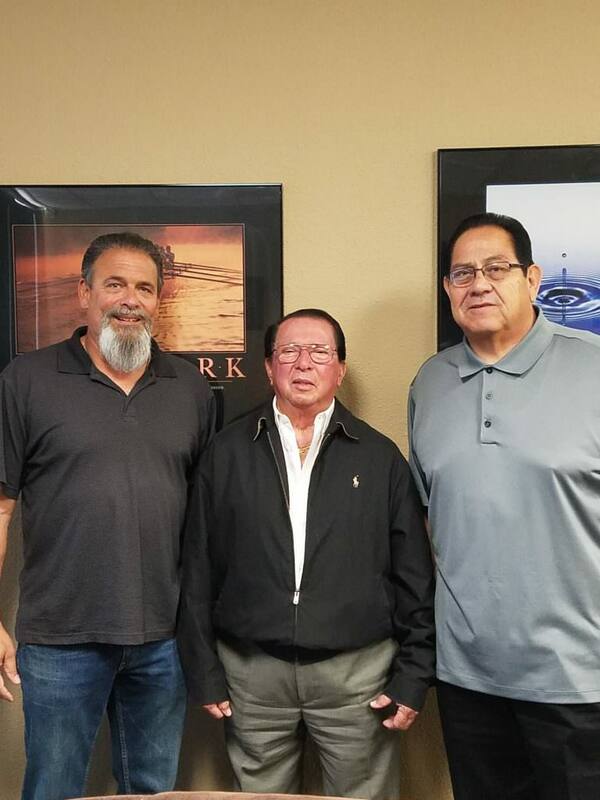 Along with Eric and Gil. 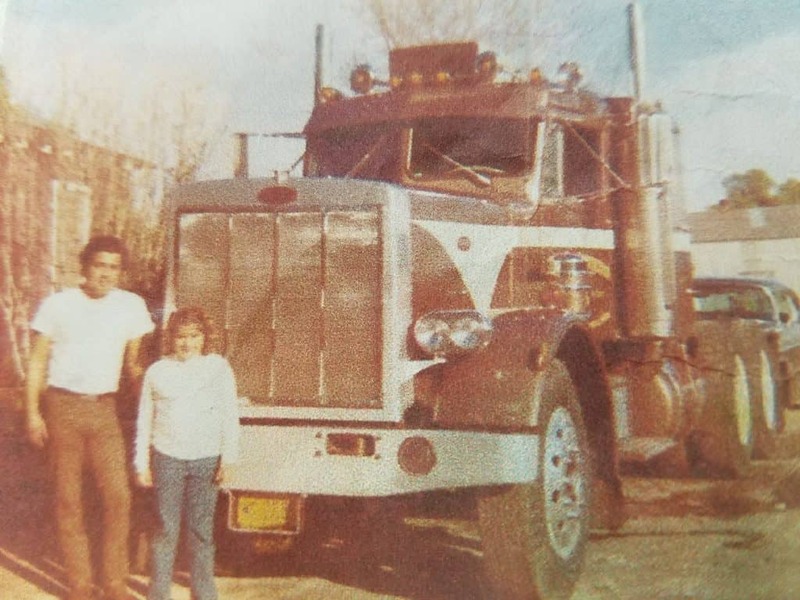 2006 Vons retiree Pete Calzada with daughter Leslie Calzada. 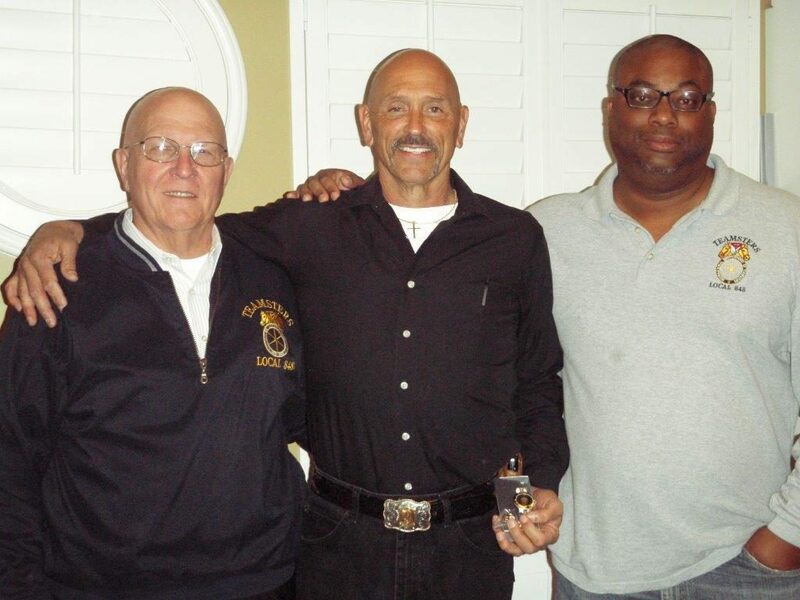 Retiree Alvaro Arguello from MV Beeline 25 years, along with Gordon and Gil. 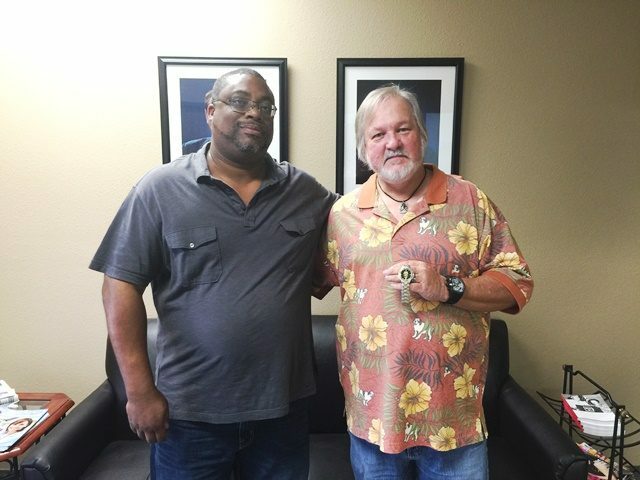 Rod Coiner retires after 26 years driving for Vons Grocery with Eric Tate. 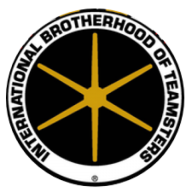 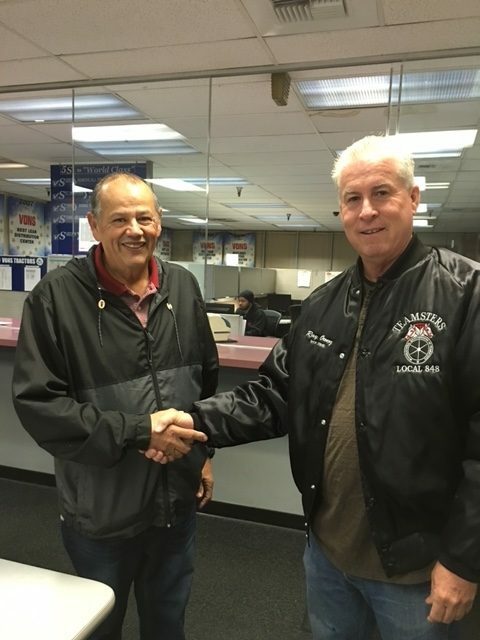 Manny Rubalcaba Vons driver retiring a 43 year teamster, 35 years Vons driver. 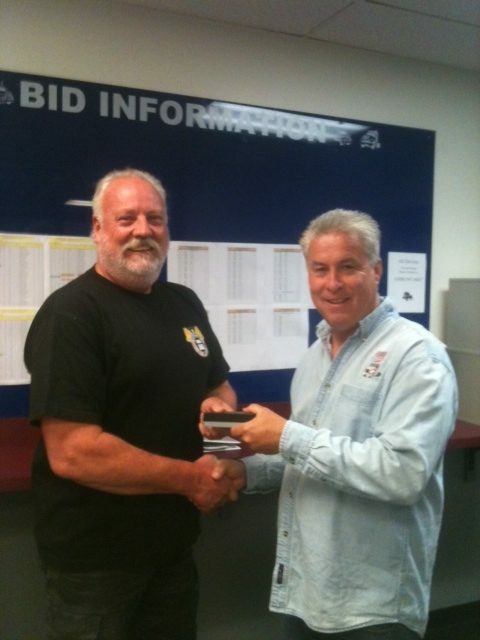 Paul Baronowski retires after 25 years driving for Vons Grocery. 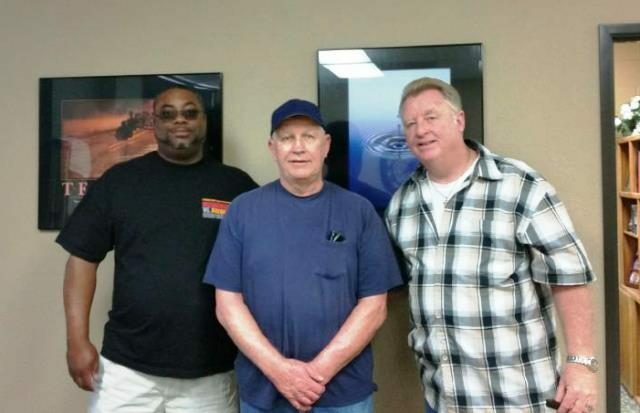 John Garden retires after 38 years driving for Young’s market. 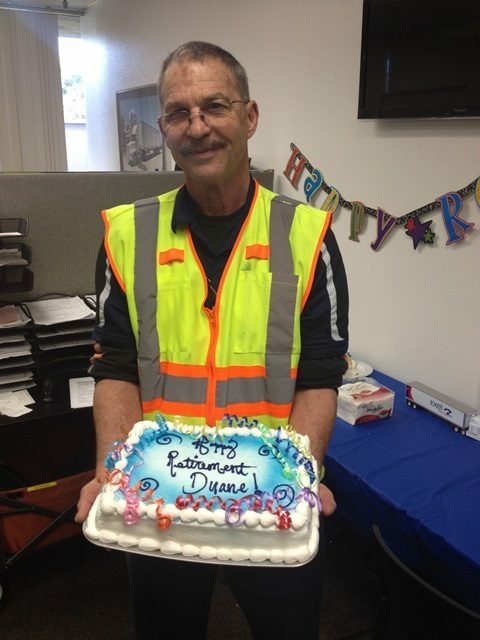 Duane Doerges retires after 22 years driving for Excel Inc.
Glenn Nevins Santa Fe springs long haul driver retires after 28 years driving for Von’s Grocery. 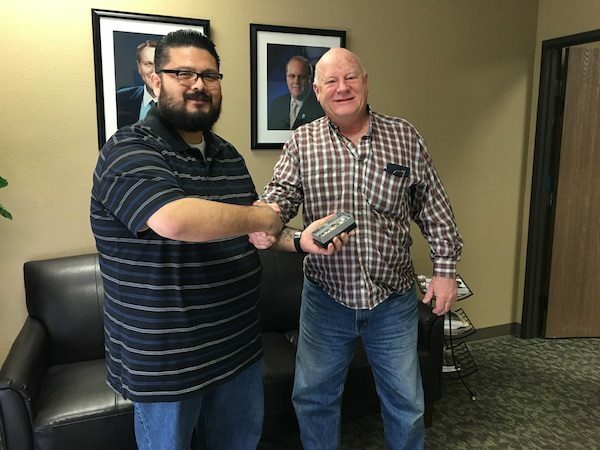 Steve Diosdado retires after 22 great years driving for Vons Grocery. 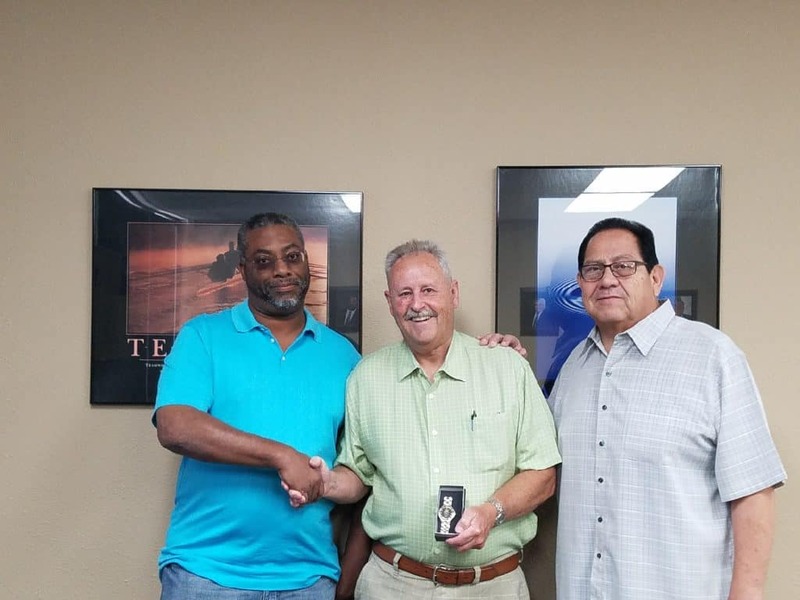 John Gilman long time Vons/Safeway long haul driver retires with 40 years as a teamster .John Gilman (left) receiving teamster retiree watch from Ray Oronoz (right) shop steward at Santa Fe springs. 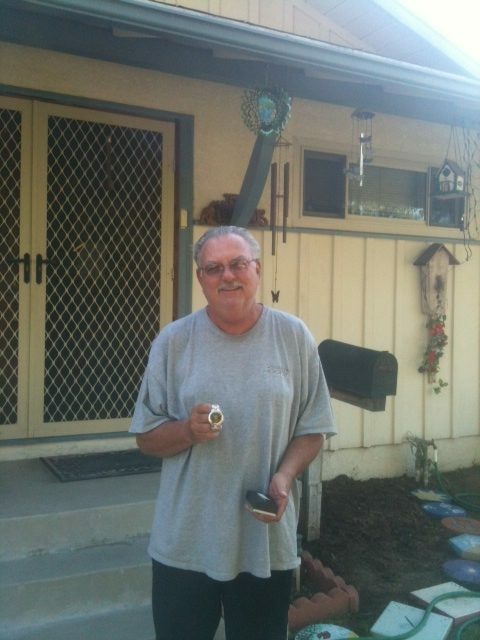 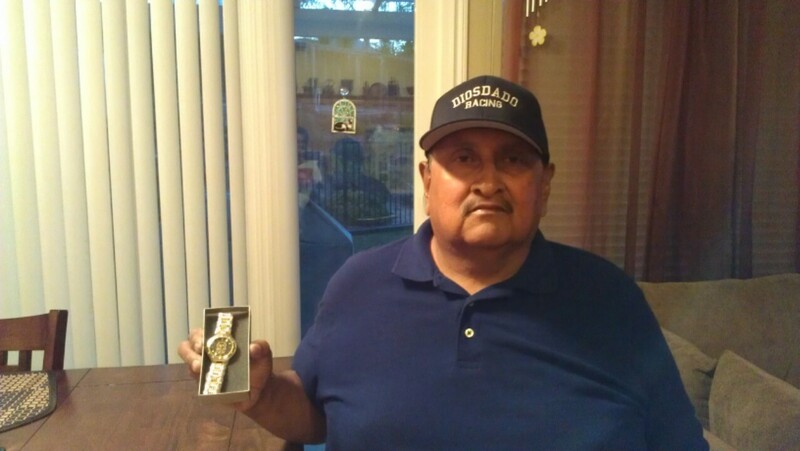 Gill Flores long time Von’s/Safeway long haul driver retires with 35 years as a teamster . 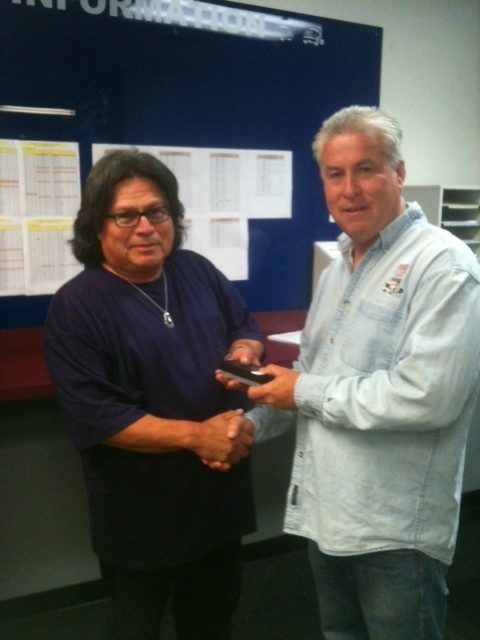 Gill Flores (left) Receiving teamster retiree watch from Ray Oronoz (right) shop steward at Von’s Santa Fe springs.